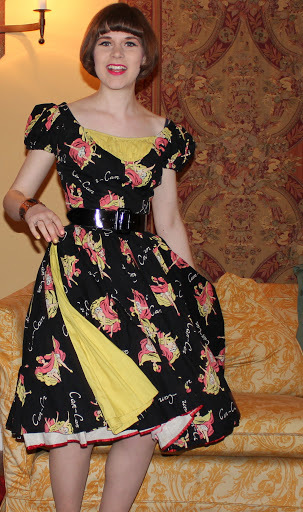 Today I am sharing the dress I wore to the ric rac club over the weekend. I ADORE novelty prints, but this is one of my all time best novelty prints. The dress came from ebay (of course!) and it was a completely exciting purchase as I wasn’t expecting to win it, but was the only bidder (I paid £45 for it). The dress is by London Town, and I have had a number of dresses by this brand. 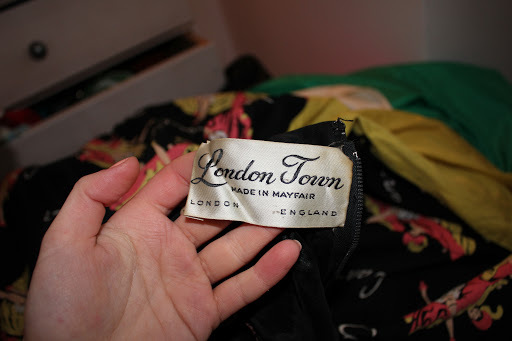 It is yet another of my labels that I need to research, I’ve had quite a number of pieces by London town, all of them have been incredibly fun and joyful items. The dress I wore to the last ric rac club (here) and the dress I wore for my graduation (here) were also by London Town. So what makes the dress so interesting? 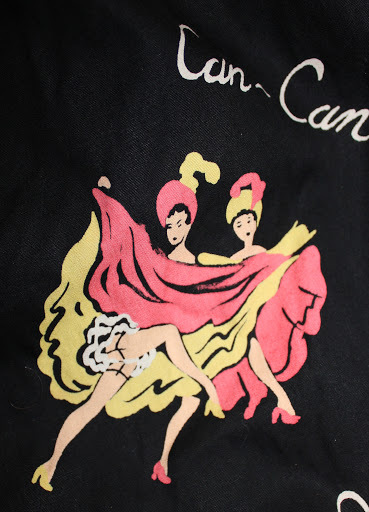 Well, firstly the print is out of this world CAN-CAN dancers!!! I adore the fact that this conversational print has not only the dancing ladies but also the words can-can written on it. The bodice has a pretty pleated panel to the front and there are also amazing very full godet panels in the same limey yellow to the sides of the garment. The dress is an absolute delight to wear, especially because the skirt is so full and I wore it with a simple black patent belt from H&M. 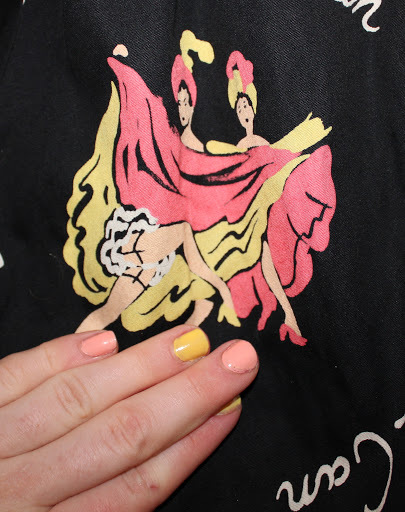 I even accidentally matched my nails to the dress! Have you come across any dresses by London Town? I’d love to see further examples of garments by the brand! this dress is so gorgeous, I love the strong colors in contrast with the black. Wow, what a SCORE! This dress is a perfect cut for you. 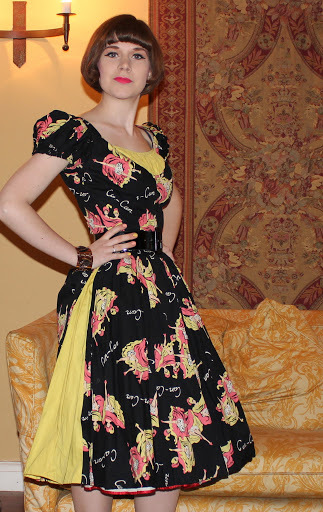 What a fabulous dress, I adore that print! Love your new hair do too.